Towne Lake Apartments provides fully-furnished, furnished, and unfurnished luxury apartments that include one and two bedroom layouts. All apartments have well-equipped kitchens, walk-in closets, and private patios. This apartment has 704 square feet of living space and includes a large bedroom with oversized/ spacious walk-in closet, a galley-style kitchen with pantry, a utility closet with full size washer/dryer connections, an open living room with fireplace, a porch, and a patio/balcony with outside storage. Rent this apartment, starting from $875. Towne Lake’s two-bedroom, one-bath apartment has large walk-in closets in both bedrooms. The master bedroom has a dressing area and access to the bathroom and sliding doors to the patio/balcony. The galley-style kitchen includes a pantry and breakfast bar, overlooking the dining room. A porch is located off the living/dining area. The living room features a fireplace. 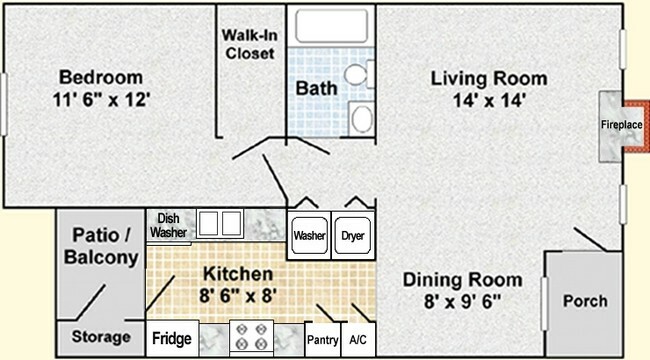 This apartment has 804 square feet of living space and starts from $975. 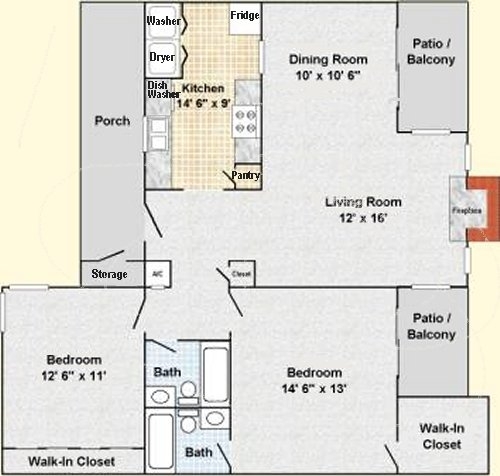 Enjoy 1,100 square feet of living space in this roomy floor plan. The spacious kitchen includes a pantry and a utility closet with full size washer/dryer connections. If you love outdoor living space, this apartment has plenty – a patio/balcony located off the dining room, a huge front porch with storage, and a patio/balcony off the master bedroom. The master bedroom also includes an en suite bath and walk-in closet. This apartment rents from $1,025.